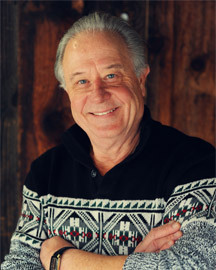 Bill Schacht, MS, LCSW, the creator of GREAT RELATIONSHIP SENSE, has over 40 years of experience in coaching and educating individuals, couples, families, corporate teams in maximizing their relationship experience potential. After completing his undergraduate degree at Carthage College, Bill spent 12 years in public school education an English teacher, guidance counselor, and football and track coach. He received his Master's Degree in Educational Psychology from the University of Wisconsin-Milwaukee and became a Wisconsin Licensed Clinical Social Worker during this time. For 25 years, Bill owned and clinically directed Performance Enhancement Health Services, SC, a WI State Mandated Mental Health facility in Franklin, WI. As a psychotherapist, Bill has developed masterful skills in coaching relationships and treating residual trauma and well as other diagnosed conditions. In 2013, Bill created "KIDS-IN-A-BREAK," a seminar for parents of minor age children, who are experiencing the challenges of family separation and divorce. Over 1,500 parents have completed this course in-person or on-line. "KIDS-IN-A-BREAK" illuminates the potential negative impact of divorce on children, teaches adults how to help minimize those risks. Family Courts from across Wisconsin and other states have embraced "KIDS-IN-A-BREAK" to meet State Statue divorce process requirements. In 2016, Bill created GREAT RELATIONSHIP SENSE as a platform of relationship tips and tools for the City of Franklin, Wisconsin Health Department to bring proactive, relationship education to their residents. It was the first time in the history of America that a municipality commissioned a relationship expert to provide such curriculum. The response from attendees of the GREAT RELATIONSHIP SENSE Seminar Series presented there was extra-ordinary. Bill continues to work with Health Department Director Bill Wucherer to make this an on-going initiative in the City of Franklin. News of success travels fast. The Tomah Chamber of Commerce is promoting a GREAT RELATIONSHIP SENSE Seminar Series in Tomah, WI starting in January 2018. To schedule one on one relationship coaching with Bill in person or via Skype call 1-866-724-2000. 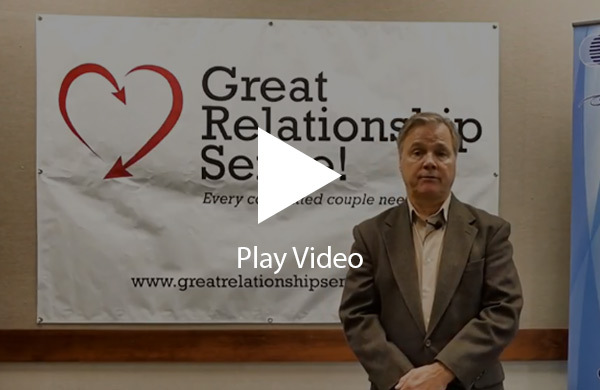 "I believe Great Relationship Sense is learnable, teachable, and livable"
Video testimonial from Bill Wucherer, the Director of Health and Human Services in Franklin, WI.